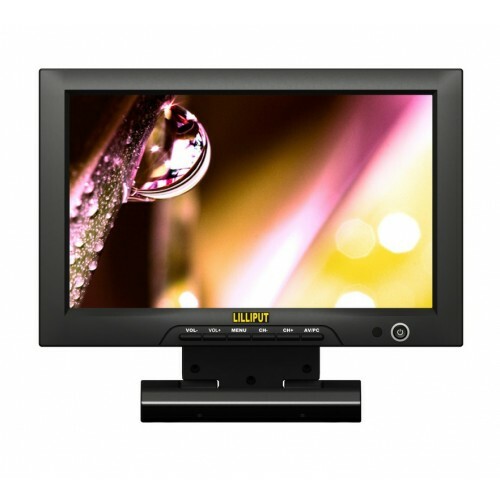 The Lilliput FA1013-NP/H/Y is a 10.1" widescreen TFT LCD monitor with HDMI, YPbPr (via BNC) and composite inputs. Designed for pro-video customers. 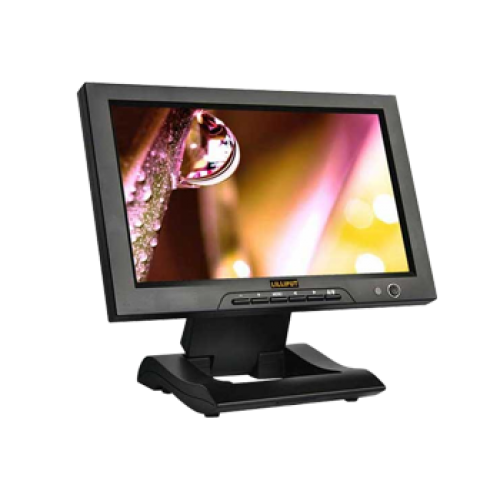 The FA1013's 10.1" LCD panel is ideal for users who need a field monitor that is lightweight and easy to carry around. The widescreen aspect ratio lends itself well to all kinds of professional applications. The FA1013 boasts a clear, sharp picture, thanks to a high contrast ratio and LED backlight. The matt display presents accurate colours and leaves no reflection on the screen. What's more, LED technology brings great benefits; low power consumption, instant-on back light, and consistent brightness over many years of use. Natively 1024×600 pixels, the FA1013 can support video inputs up to 1920×1080 through HDMI. 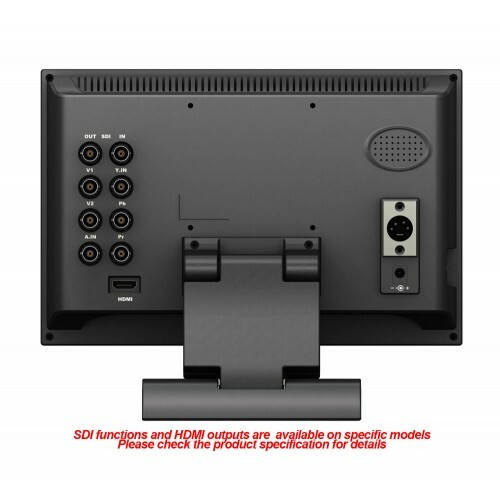 It supports 1080p and 1080i content, making it compatible with most HDMI and HD sources. Due to HDMI, component and composite video inputs on the FA1013, it can be found in all kinds of pro-video applications. You can find the FA1013 in TV broadcast rooms, security monitoring rooms, audio visual installations, and camera crews. 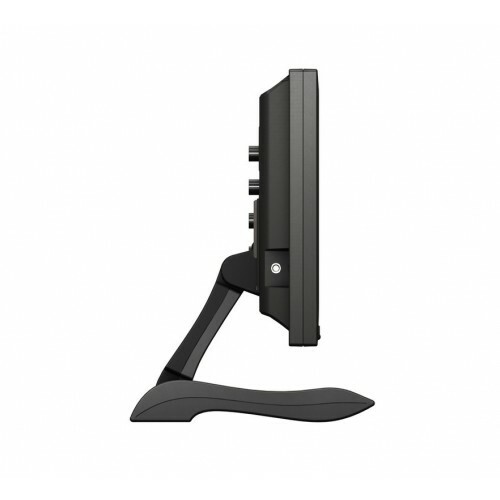 Like the FA1011, the FA1013 can also features a desktop stand and VESA 75 mount. However, the FA1013 also has the option of being mounted by ¼ inch BSW thread. This makes the FA1013 perfect for mounting on cameras and tripods. Please ask us about our articulating swing arms compatible with the FA1013. A. The FA1013-NP/H/Y can attach using an HDMI connector (mini HDMI to HDMI is included in the box), Composite connections, and Component connections. The Composite / Component connections are made using a BNC connection – converters for these are available upon request. A. No - however Lilliput do stock an equivalent screen to this which has both HDMI input, a 10.1” screen size, and a touch screen – model no. FA1011-NP/C/T. A. The power supply included with the unit is a 12V 2A standard wall socket connector. The unit itself uses 9-24V, and the current usage is 500mA (50mA in standby). It is also equipped with an XLR 9-24V DC connector on the back of the unit. A. This monitor does not support battery power natively. If you’d like to use battery power, we supply alternative models 665GL-70NP/HO/Y, 667GL-70NP/H/Y, and 668GL-70NP/H/Y and FA1013-NP/H/Y which may be applicable for your needs. Lilliput can supply a battery for this unit however – please enquire about availability. Q. What resolutions does the FA1013-NP/H/Y support? A. Yes – the FA1013-NP/H/Y has a screen brightness of 250cd/m and a Contrast ratio of 500:1. It also comes supplied with a sunshade to give added extra protection.